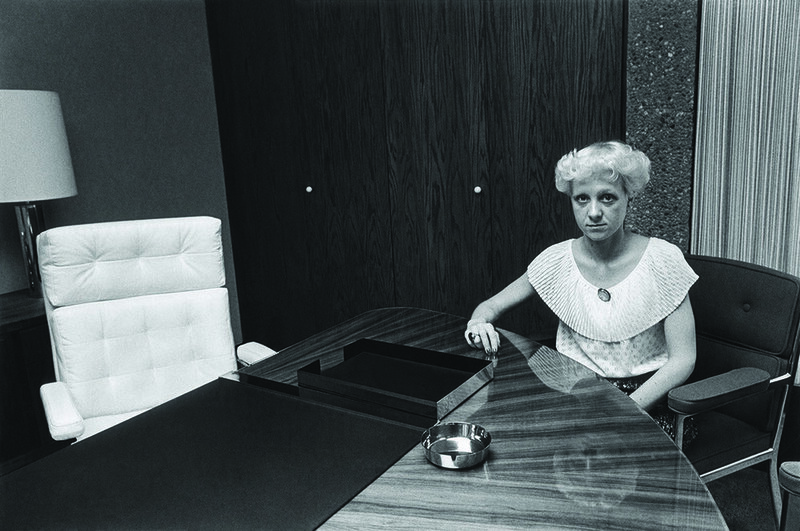 The interior corporate spaces as photographed by Susan Ressler in Los Angeles at the end of the 1970s have the feel of out-of-use stage sets. These are places where something will happen, or something has happened, but where nothing is happening when the picture is made, at least nothing related to the work of the company. Glass and chrome, fabric walls, and wood paneling are flat and even. Textures, abstract patterns, and weave-like designs appear in high contrast. Some images are studies in gray – how many different neutral surfaces can Ressler fit into one image? Inspirational conversation pieces – a deep sea diver’s helmet, globes, model airplanes, an Apollo 11 image printed on a dot matrix printer – speak to nostalgia and adventure. Ressler has photographed these spaces and material in a way that draws attention to their aspirational affect by framing everything just so, as they were meant to be seen, not as they are actually used. The rooms are posing, and as may happen with posed portraits of people, the pose reveals both vanities and insecurities. When we do see people in these photographs, most appear awkward, even those who face the camera with bravado. Not only are they posing for the camera, they are also inhabiting the roles that they must assume in these offices. In one image a man, possibly an executive, stands by a reception desk looks directly into the camera. His mouth appears to be very slightly open and I imagine him speaking to Ressler, maybe something along the lines of “stand like this?” or perhaps he is slowly exhaling as he holds his position, waiting for the photograph to be made. 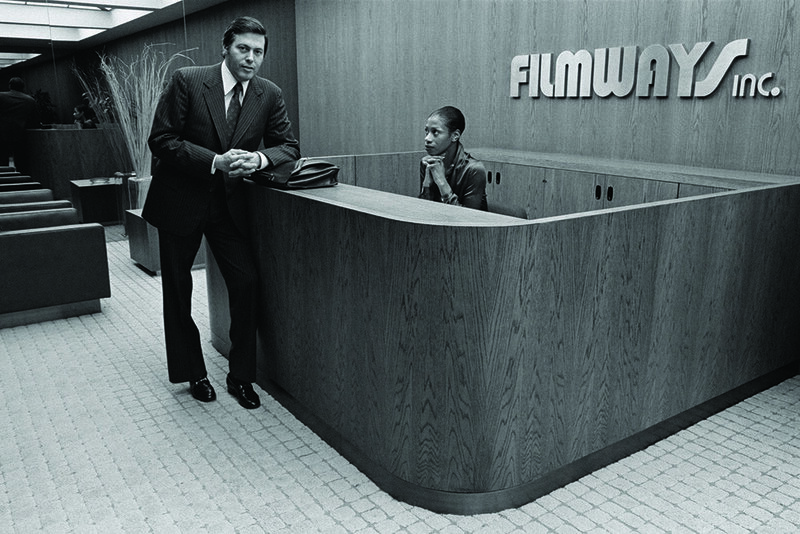 Behind the desk a seated receptionist looks at him, an African-American woman, her hands folded, her expression unreadable. He has come into her space (inasmuch as it is hers) in order to be photographed in the company’s greeting area. The contrast between their expressions generates a quiet tension. Ressler reveals how fragile these constructions are, the forced confidence at play, the hierarchies of race and gender. Executive Order presents fifty photographs, at the core of which is a group of 12 photographs, drawn from 15 made for the NEA-funded Los Angeles Documentary Project, and includes an essay by Mark Rice, author of Through the Lens of the City: NEA Photography Surveys of the 1970s. Rice’s expertise is appreciated, and the essay provides valuable context: in 1979-1980 the NEA funded eight photographers to survey life in Los Angeles, part of a larger grant-making project that in part sought to assess the state of America around the bicentennial, and that also “attempted to bridge the gap between photography operating in the documentary tradition and photography as a fine art.” Rice describes this moment at the end of the 1970s where, in the context of the landmark “New Topographics” exhibition that visualized the changes undergoing the landscape of the American west, and the growth of the economic and political influence of the west and southwest, Ressler photographs the emerging places of commercial power. With her attention on interior spaces, Ressler reveals what is inside the buildings that other photographers were examining in relation to a changing landscape (“What’s on the inside of the boxy industrial parks that Lewis Baltz photographed in Southern California?” asks Rice. “Where do the residents of Robert Adams’ Colorado front-range communities go to work?”). In doing so Ressler critiques corporate culture, showing both its hubris and fragility. She underscores that these companies must expend energy to sustain the conceit that they are the center of the world in which they operate. The design, the positioning of people, the aspiration and inspiration – all work to convince both staff and customers, and owners, too, of the value and viability of their enterprise. Ressler notes that “[in] the era of Trump, we face the dangers that ensue when corporations are deregulated and when profits ‘trump’ people. [These] photographs … show us that although fortunes may rise and fall, the systems of power and privilege are still fixed firmly in place.” Certainly the book serves as a reminder of the persistence of this kind of power- of the corporation as something that, through mergers and acquisitions, may take on a life and afterlife of its own. Executive Order is valuable today as it asks us to evaluate our values and priorities. Where are the people in these pictures now, and what has happened to these places? Where has the money gone? While Executive Order is a reminder of the power hierarchies made visible here along lines of gender and race; it is also a caution against hubris. The pictures remind us that everything must pass. In his essay Rice describes what has since happened to most of the firms that Ressler photographed; few survive in their original form if at all. The story is told in the photographs, where Ressler describes the effort to keep up appearances, and the anxiety is visible under the bluster. 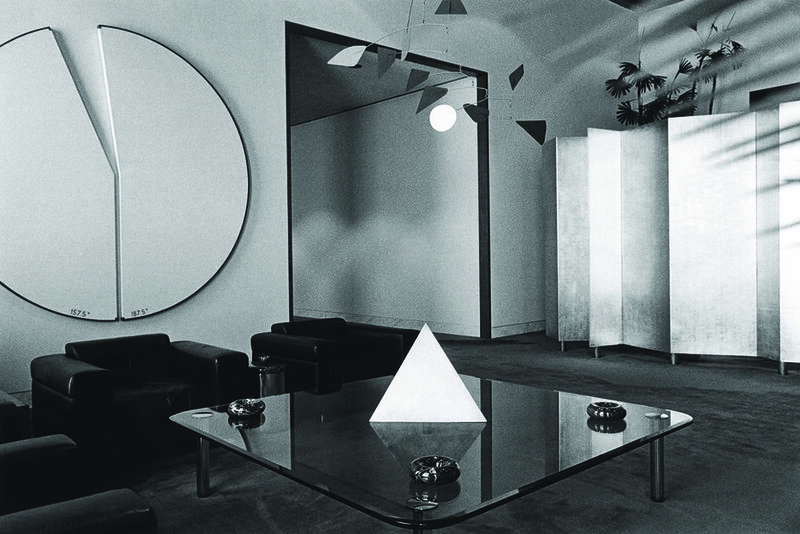 These spaces are meant to look like the future, as per circa 1979, but are equally fixated on the past. The synthetics are promising and the wood panel is meant to be reassuring. What will our reassurances look like to future observers? And what outlasts these materials?